View How to DUCK & COVER. 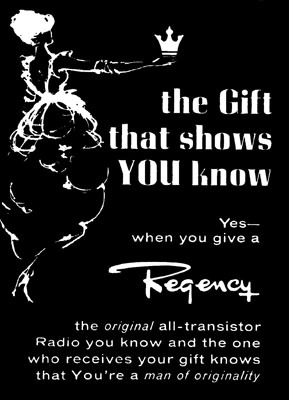 Then, with your Regency radio in hand, tune-in to one of the Civil Defense stations designated by the tiny triangles at either 640 or 1240 kHz on the tuning dial. As stated in the owner's manual, "In event of an enemy attack, your Regency TR-1 will become one of your most valued possessions." View nuclear survival training clip from PBS History Detectives episode where it was stated "In a nuclear attack, keep tuned to your local radio station - it will keep you posted where fallout is taking place". As Regency progressed in the market place, upscale consumers were targeted. An ad in Holiday magazine reads rather humorous by today's standards..."He Drives a 300 SL, She Charges at Cartiers, He's a Letterman in His Junior Year/They All have This in Common/A Winter Vacation with a Regency Radio." ref: Michael B. Schiffer. 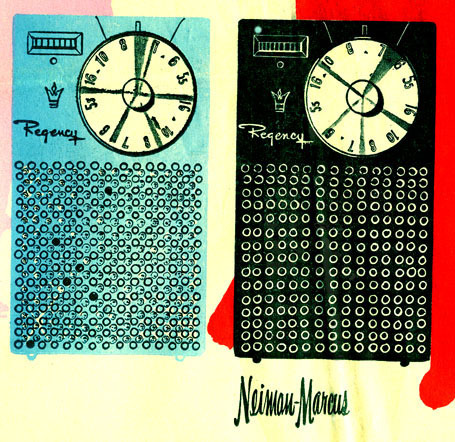 Dallas' Neiman-Marcus ran an ad in 1956 featuring the TR-1 as a fashion accessory for graduation and Mother's Day. Colors were presented as......."Petite model eased in black plastic $41.98. 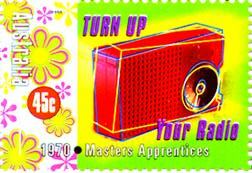 Or colorfully in ivory, red, green, grey or mahogany plastic $52.20. Very chi-chi one in jeweled iridescent sky blue, pink, orchid or pearly white plastic $67.58, white leather carrying case $2.00. Prices include tax and batteries. "ref: DALLAS TIMES HERALD, April 22, 1956, pg E-8. 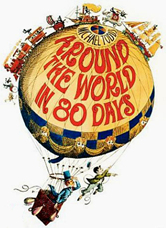 1956 Movie producer mogul Michael Todd (husband of Elizabeth Taylor in the mid-fifties), placed Regency TR-1's in gift books to commemorate his movie Around the World in 80 Days, and presented the gift books to about 60 cast members, friends and crew. 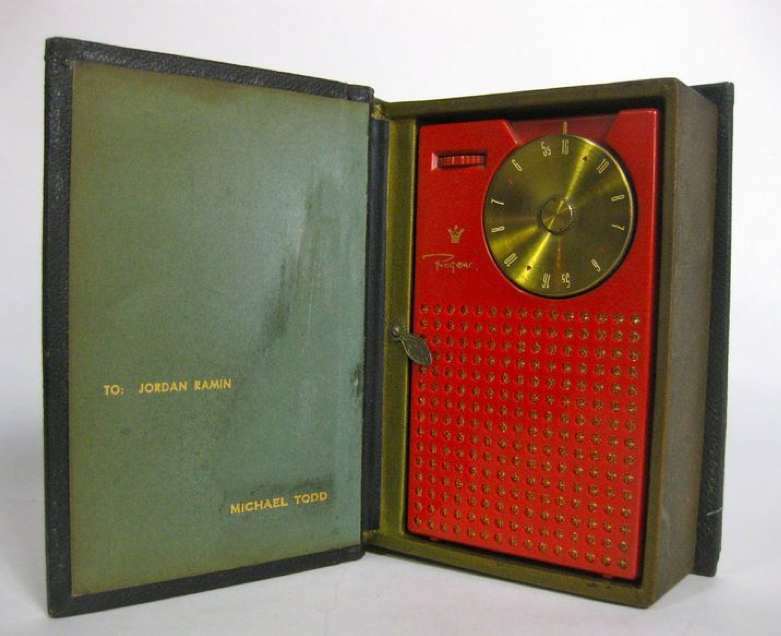 Several of these books have surfaced, including Michael Todd's personal TR-1 and those received by Shirley MacLaine, Arthur Miller, Trevor Howard, Jordan Ramin and Shirley Thomas. 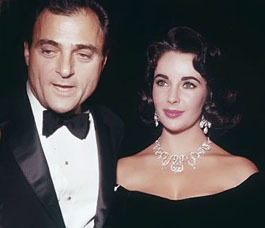 Michael Todd was killed in an airplane crash in 1958. 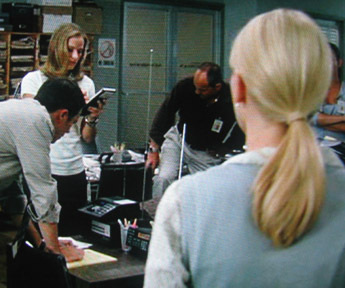 2005 DreamWorks movie "The Ring Two": The Daily Astorian newsroom hears the police report on a Regency ACT-E-106 scanner about the fate of "The Ring's" next victim. Naomi Watts on the far right, follows-up with the investigation (Watts was also the female lead in "King Kong" in the same year). 2011 Universal Pictures tongue-in-cheek alien movie "Paul": A Regency ACT-R10 scanner is used to help track down abducted Kristen Wiig (SNL & "Bridesmaids" star), as a RV totes the alien "Paul" (Seth Rogen's voice) in an escape from police. 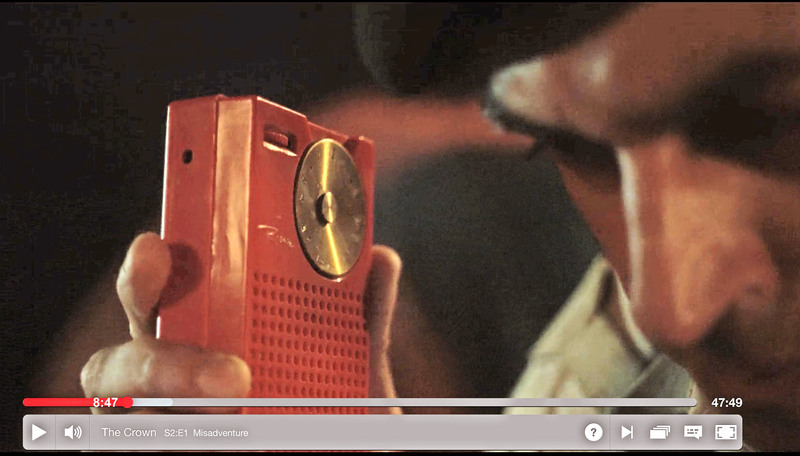 2017 THE CROWN - Netflix: This Regency TR-1 was used as a prop in Netflix “The Crown, Misadventure” - Episode 1, Season 2, at 8:47 minutes, to capture the dramatic announcement when Egypt gained control of the Suez Canal from England in 1956. CLICK image to view fullsize with timeline bar. 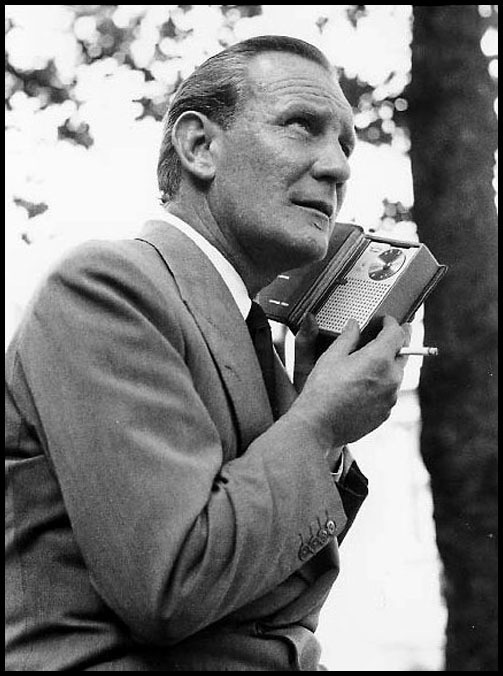 "It's Only Rock 'n Roll, but I Like It"
The portable transistor radio is credited with advancing rock 'n roll into the American culture. 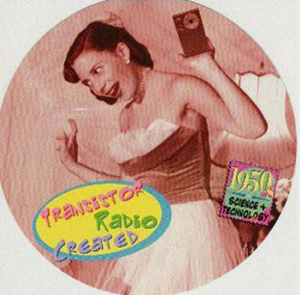 Quote PBS program, Transistorized, "Now that kids could listen to music out of earshot of their disapproving parents, music became more daring and revolutionary." The timing was right, and in 1954, Bill Haley's Shake, Rattle and Roll and soon to follow, Rock Around the Clock hit the charts, along with Elvis' first record, That's All Right Mama. 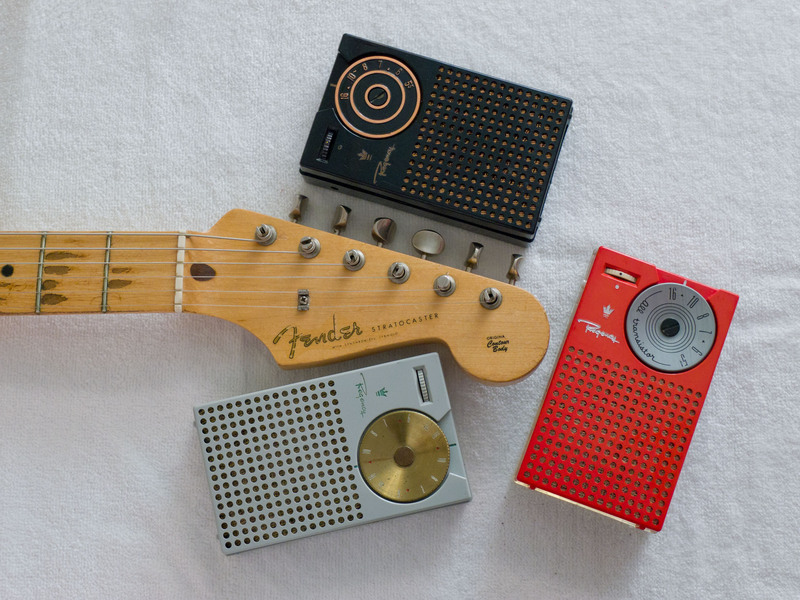 Sixty years later in 2014, Cari Romm writes for the SMITHSONIAN "...the transistor radio with music for your pocket fueled a teenage social revolution." But this success was something that the transistor radio inventors had not anticipated nor were pleased about. When Regency co-founder John Pies' children became teenagers, it was common to hear "turn that music down" barked at the Pies household. Nobel prize winner (for co-inventing the transistor), Walter Brattain, complained that his only regret for inventing the transistor was that it stimulated rock and roll. 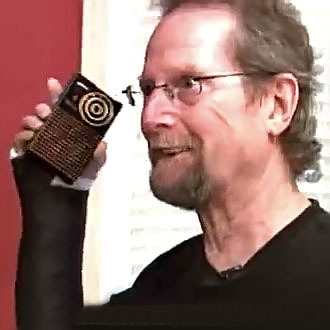 Rock and Roll Hall of Fame artist Roger McGuinn of The Byrds was featured in the History Channel's program 101 Gadgets that Changed the World where he discussed how the transistor radio inspired him. 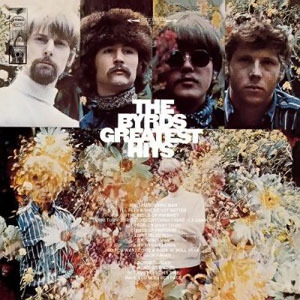 Upper left on record album cover - Roger McGuinn, David Crosby (later with Crosby, Stills and Nash), Gene Clark (or Michael Clarke?) and Chris Hillman. Right photo - McGuinn with Regency TR-1G appearing on GrowingBolder television program. 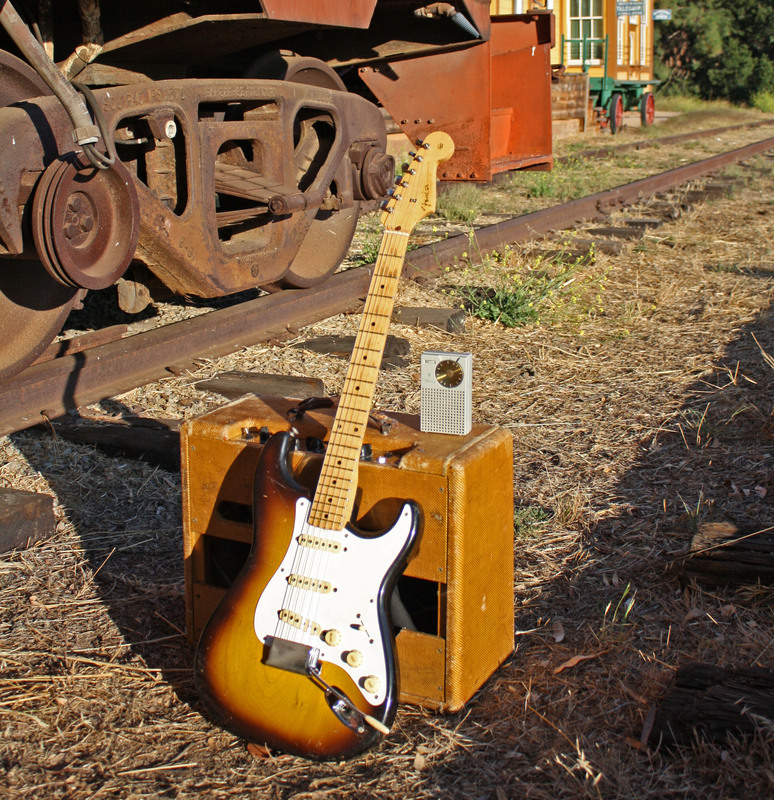 While the Regency TR-1 amped up rock 'n roll in 1954, another product hit the market in the same year for those creating the music...the Fender Stratocaster guitar. 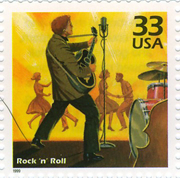 The iconic 'Strat' was pushed into fame by artists such as Eric Clapton, Jimi Hendrix, Buddy Holly and others. The Jensen speaker company had already built speakers for Fender amplifiers in the early 1950s; and in '54, Jensen developed the tiny speaker that went into the TR-1. 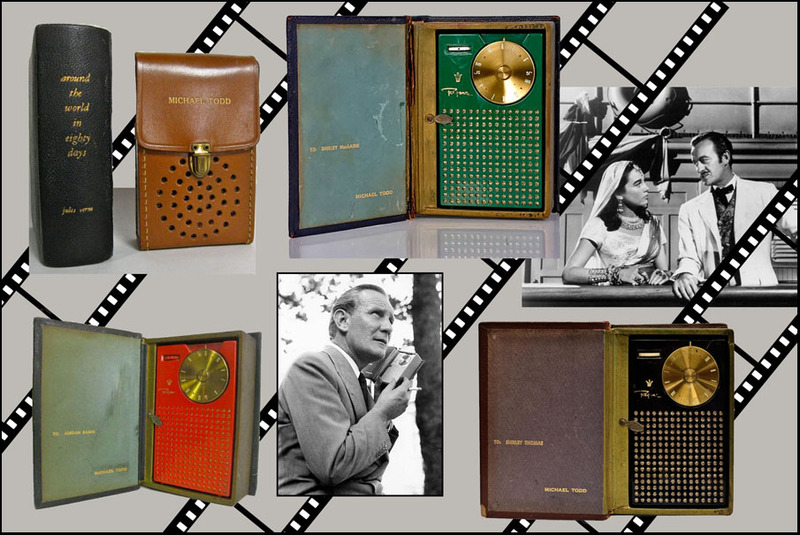 The chic gadget magazine, T3, published a montage of hot gadgets in 1954 that included the Strat and the Regency TR-1. CLICK to view the full-sized illustration and the magazine cover. 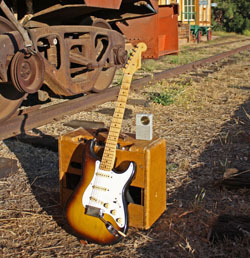 The two-tone '58 Strat in the photo (serial # 025705) to the right was purchased by Regency co-founder, John Pies, in the mid-'60s, and given to his son. 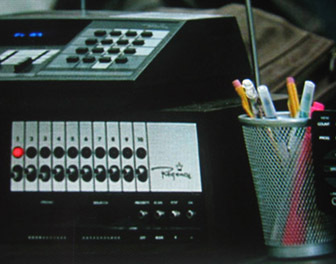 Pies' personal TR-1 is shown sitting on the amp. CLICK photo to enlarge. BBC's John Ousby caused quite a stir in 2005 when he posted this picture on the internet. 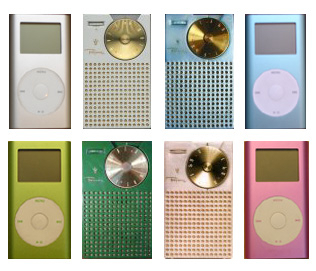 Quickly, accusations were made that Apple had based the iPod design on the TR-1. But in reality, it's highly unlikely this claim merited any truth. What was likely was that both Apple and Regency based their design successes on the proven principle of 'Simple Elegance' and not flashy trim. CLICK to view the BBC News piece covering this controversy. For the record: In 1954, Regency hired the Chicago firm, Painter, Teague and Petertil, to design the plastic case for the TR-1, which was fabricated by Argus Plastics in Indianapolis. 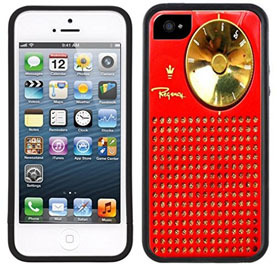 Amazon.com offered vintage transistor radio plastic cases for the iPhone 5 and Samsung Galaxy S4 displaying the Regency TR-1. When the iPhone 5 was released, it was approximately the same height as the TR-1 as shown here; and when the iPhone 6 was released, it grew even taller. The invention of integrated circuits in the 1960s (Texas Instruments and others) allowed new technologies to develop, leading to advanced miniaturization and thin phones today. Much has been written about the origin of the transistor - was it humans, or was it space aliens? Here are some keywords to continue the search. 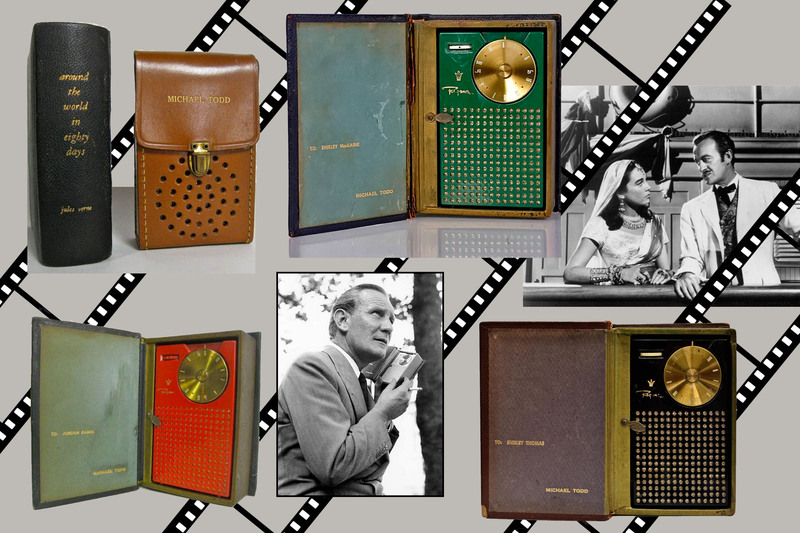 What were the Visionary Companies Doing at the Birth of the Transistor in 1947? Raytheon was a major supplier of vacuum tubes, military radar sets, and the company had just invented the first microwave oven, the "Radarange."